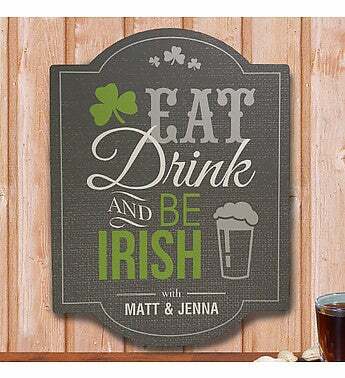 Eat, drink, and celebrate your Irish heritage this St. Patrick's Day when you hang this personalized wall sign in your home! Whether you enjoy honoring your Irish side year-round or wait until St. Patty's to do so, this sign will add a festive touch to your home just in time for Ireland's favorite holiday. 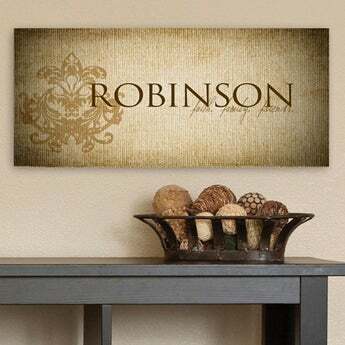 Wall Sign measures 11.5" x 15.5", and includes easy mounting accessories. 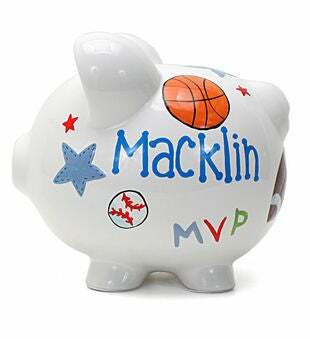 The Personalized Garage Wall Sign arrives with plastic peel and stick hangers for easy mounting. "